Looking for a new way to gain more exposure for your special offers on AutoDeal? 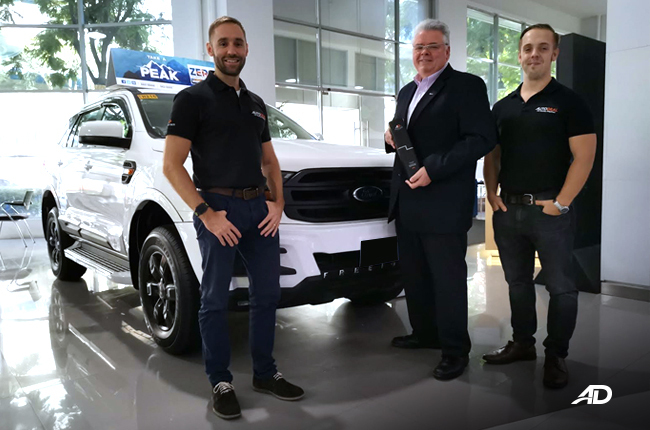 Well, you’re now in luck, thanks to AutoDeal’s Featured Promo ad units.Our Featured Promos allow dealers to raise further awareness about their monthly promos by bringing them to the top of our promo search results. 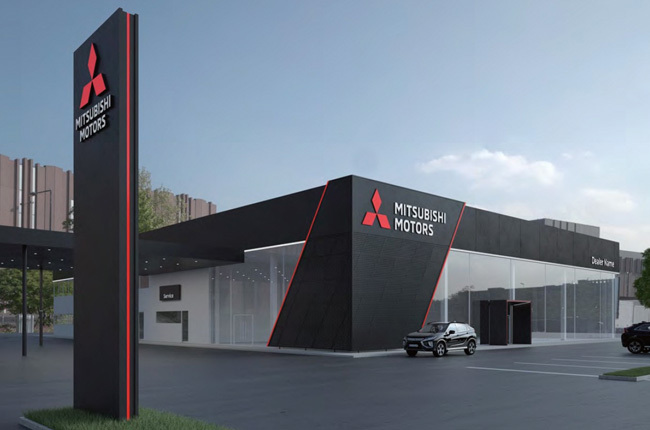 Ads can be purchased within four (4) different categories, depending on the location of your dealerships. These four categories are for Manila NCR, Visayas, CALABARZON and Mindanao. 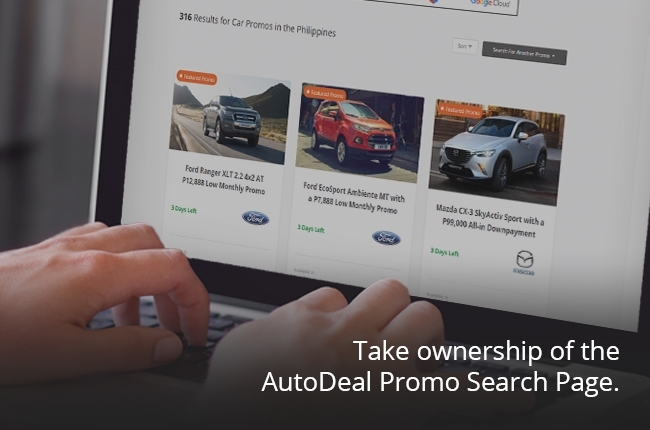 Increased views for your promos on the AutoDeal Promo Search page. 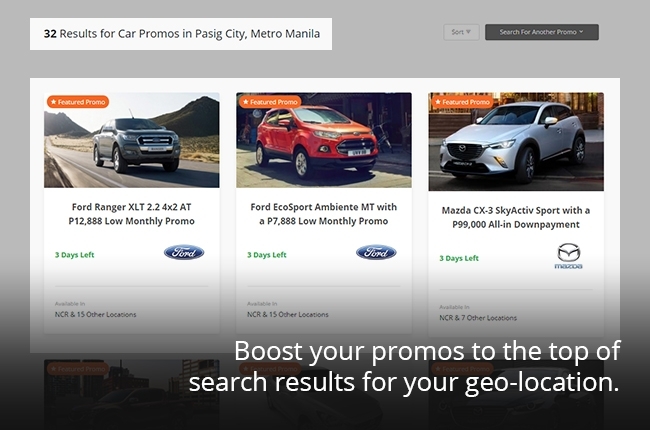 Increased views for your promos on AutoDeal Promo Search results. 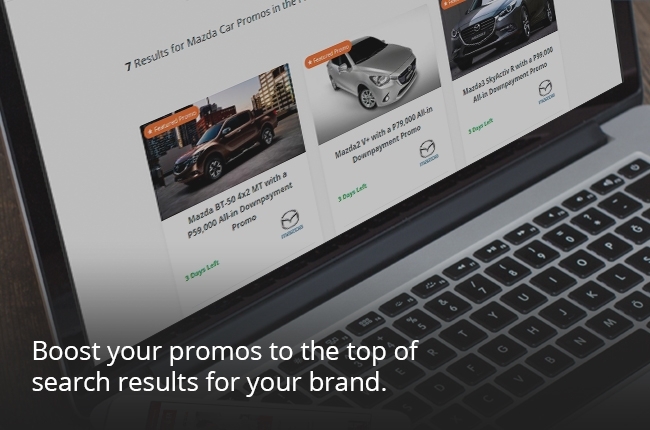 Your promos will appear in the top three rows of every Promo Search result. 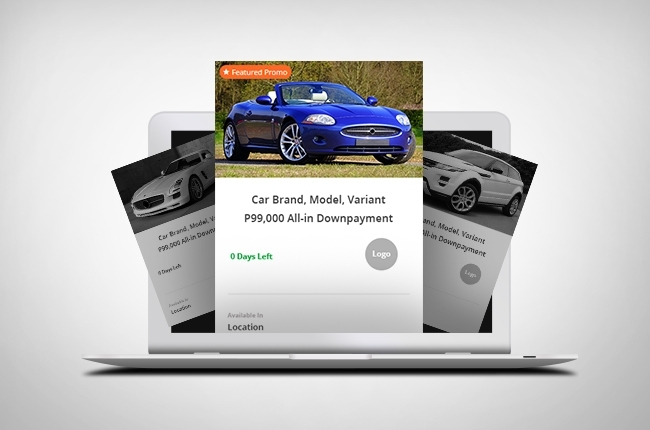 Your promos will appear in one of AutoDeal’s weekly newsletters. 80% - 200% increase in your leads for that specific promo. Weekly rate are also available upon request.